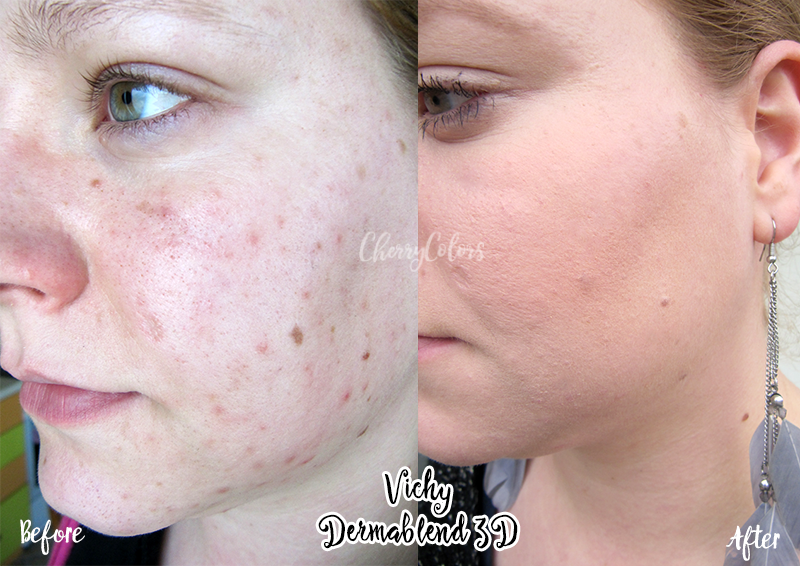 Vichy Dermablend 3D - Cherry Colors - Cosmetics Heaven! A couple of months ago, I had a terrible outburst of acne. Nothing helped and even worse, nothing covered them! I tried several foundations, caking makeup on my face, but nothing really did the trick. 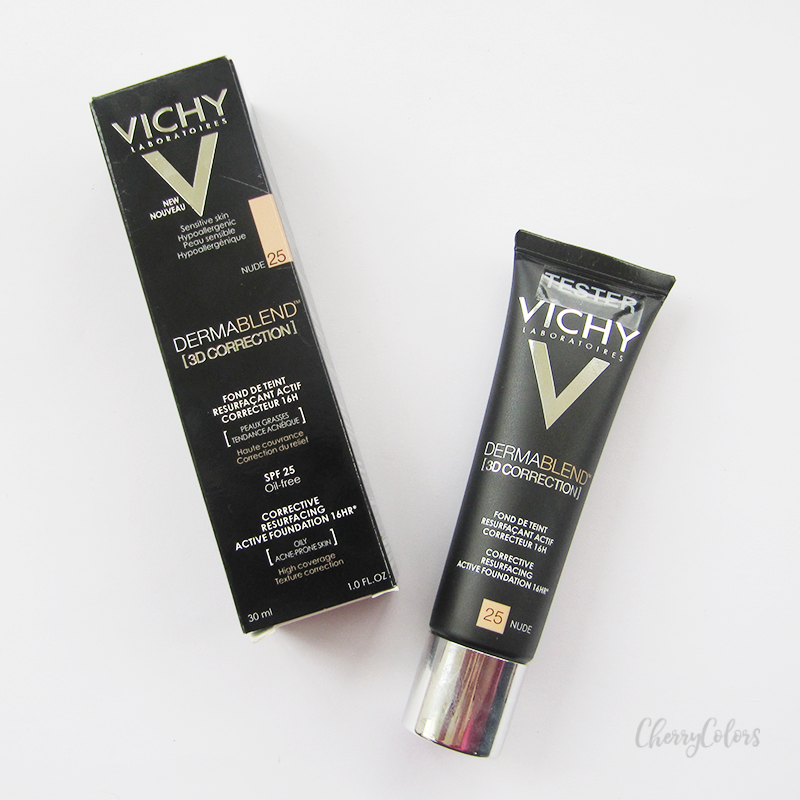 Until I tried Vichy Dermablend 3D. With [3D Correction], only one application is enough to turn acne-prone skin into a smoother, more even, “ready to face the world” complexion. This is thanks to a texture innovation, Alliagel™. The pigments and soft focus agents that cover and blur imperfections are trapped in this gel, which unfold like a second skin, only more even, smoother, and more beautiful. It sounds cliche, doesn't it? I was thinking about buying it, but I first wanted to try a sample, because I'm not willing to shell quite a bit of money (~22€) for a product that wouldn't work on me. So, I contacted Vichy Slovenija, who kindly sent me a tester. Except it wasn't a tester, it was a full size (so YAY and thank you again!). Okay, but why was I so desperate for something to work on my skin? Well, I had acne, raised pimples, red marks, PIH, irritated skin, you name it, I probably had it. It was because of a beauty supplement I was taking at the time and I didn't know it. My regular foundation routine didn't work, nothing and I mean nothing covered my red acne. I tried using a green foundation, and it rubbed off. I tried caking makeup on, but it lasted for only about one hour before disappearing into oblivion. I felt like I needed to hide it all. I mean, I usually don't really care about a random pimple on my face, but for more than that - I'm too old. Seriously. And after weeks of battling with this terrible burden, it started to feel useless. I started to feel bad about myself. Selfconscious. Ugly. But at the same time, I knew it was wrong to feel this way. I mean, I'm all for natural beauty, showing your true self and so on. But what if all the acne shift the focus from the true beauty of a person to their flaws, to their skin? I felt betrayed by my own body, betrayed by my mind and even worse, betrayed by society for giving such a huge weight to something so hard to achieve - perfect skin. It's actually pretty terrible. My acne stayed with me for about 2 months. And in that time, my body image went south because of my skin. And because of this experience, I do truly feel for all the people who have to live with it, for all of the people that are still battling acne. So, I tried the foundation. And wow. It covered everything. And the most important thing - it stayed for the whole day!! My foundation is a shade or two darker than my skin tone, so next time I'm getting the lightest version. The foundation itself is a thicker cream, which takes some work to get an even coverage, but it's still easy to do. With your fingers or your brush, it works either way. There are two formulas of the foundation - the 3D version which dries to a matte finish and clings to dry patches (it's for mixed and oily skin) and the regular Dermablend version which is for normal to dry skin types. 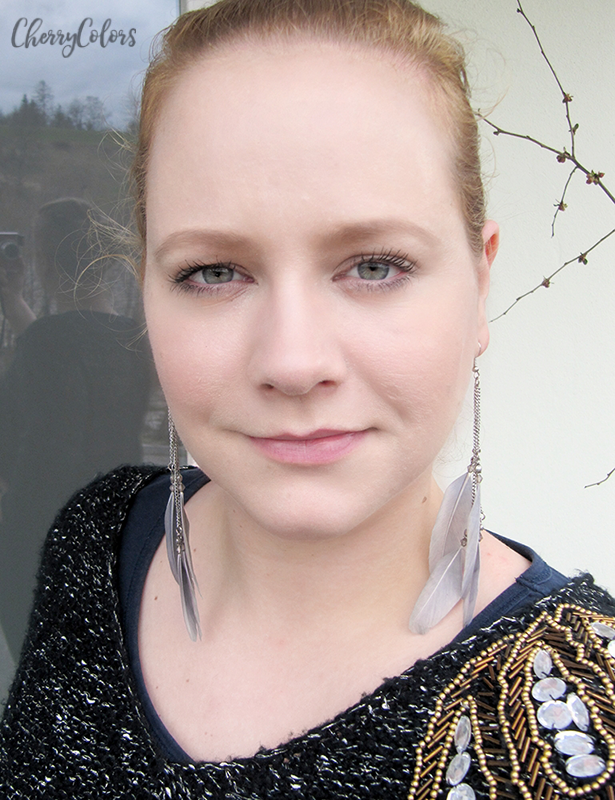 It helped me restore my confidence and brought me joy, of doing my makeup again. Hooray! I am eternally grateful that I had the chance to use and test this product and I do recommend it to all the fellows out there who suffer from acne or other skin issues. It helped me get over my skin and focus (again) on inner beauty. Great product that is on the pricey side - about 22€, but one tube of it will last many months of use. * This product was sent to me by the company itself or their PR. My reviews are always honest.